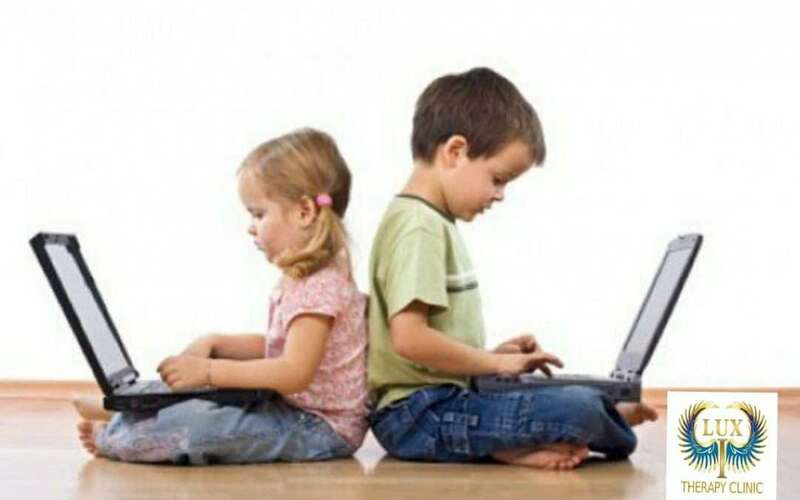 Our children were taught to use computers tablets and mobile devices at a very early age. This has been seen as a good thing because the world as we know it now would grind to a halt if technology was taken away. But how much internet and xbox type gaming is too much for our children? Our youngest two children are three years apart. and born around the time when computers were more available and the internet had just been born. 1995 to 1999. The older two ten and thirteen then were older an wiser when the technology landed. The little ones were brought up with a computer, sat on my knee and playing learn to spell and read games ” Jump ahead teddy”. matching shapes and simple sentences. Quality dad time! as the years went by they leaned to type and join me in computer games and learning the big world tools of word processing and making drawings etc. Also helping them learn how to find help in the internet for homework. So all in all a great tool for growing kids. BUT we had to draw the line when they got tablets and phones. especially all the pinging and poping of notifications. Zero toys at the table and TV off at mealtimes. It became Phones off or away also ! Now many families are the age where their own information overload can be causing them to abdicate their management of their child’s development. giving them unrestricted access to games consoles, tablets, smart phones, and all usually internet connected. We saw the writing on the wall and chose to come up with a plan to deal with this invasion, and make definate changes. Here are some of these changes, so that you can help your children out of this trap or prevent it from starting. Equal time for playing outdoors. At least an hour had to be spent outside, riding bikes, football, walking our dog, and playing with friends. Or out with us down the beach. We felt it was very important to get exercise and to socialize. All homework had to be done before getting on the computer to play. Unless time needed to gather information for homework with a parent. Naturally. Open door policy and interact. Always have your children keep their doors open and interact with them during computer time. Check on the games their playing or what they are looking up. Let them know you are interested and are paying attention. When possible, especially with younger children, sit with them, watch and interact. Technology has made quite an impact on our society. It has made many things easier, some things harder. Things like getting children to socialize, going outside to play, getting exercise, and spending time with family. 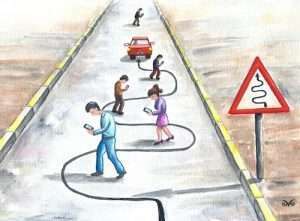 We need to be wise parents, not let technology take first place in our children’s day to day lives, or our own. We have to be careful to stay connected to the priorities that help us all grow as children and adults. It’s so easy in the hurried world we live in to miss things and let things go that are important. The time we have to train our little ones and bond with them is limited. 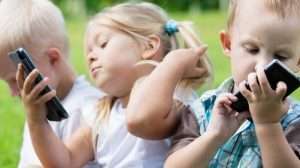 The computer, the smart phones, ipods and any other techno gadgets cannot take the place of parents. Our children need one on one time with us, structure, a sense of priorities and responsibility. Technology cannot take the place of family. In my opinion, this is a huge problem in our society today; the easier technology makes things the more it takes away of what we had in years gone by. When I was growing up we had no technology outside of one television with three channels and one home phone. We played games, we cooked and ate together, we did homework together, played in the woods, rode our bikes, and we used our imaginations. We had a close knit family and a lot of fun. We learned the hands on way. I know we have so much more information at our finger tips than in the past but I have happy memories of that set of science encyclopedias i was bought. That’s where we would go for our reports and projects, or the public and school library. Technology is great, I’m not against it, but in our family and perhaps in yours too, we just needed to make sure we kept our priorities in line and put our children’s well being at the top of the list. If you find its causing more upset trying to put the genie back in the box. We specialise in helping adults learn simple methods which allow them to communicate easier to their children, and help them reconnect to real life. Especially if they are using the tech as a retreat from the pressures of life and making their long term social and family skills worse. Some times its the big kid (The father ) that needs some help too! This coaching in itself can be a bonding experience for all the family.